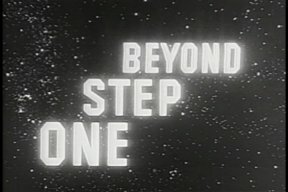 One Step Beyond is one of my favorite older TV series, so I will be doing reviews of some of the episodes. The show ran originally from January 20, 1959 until July 4, 1961 for a total of 97 episodes. Many of the episodes, though, are extremely difficult to find; I found a box set with 56 of them and considered myself lucky. (Note: I have added a date on when I have updated certain entries).